There are many festivals created for many reasons, but surely the Infiorata di Noto, the Flower Festival that takes place in the charming city of Noto in Sicily, is one of the best worldwide. It certainly ranks among the most colourful, since it is resplendent with flowers of all kinds. Perhaps it is not just the flowers themselves that draw an audience though – it is likely the inspired artists behind the displays that bring in the visitors too. 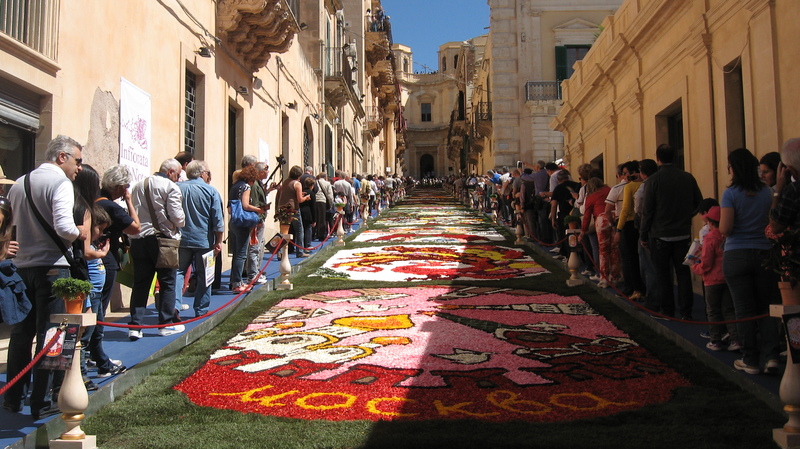 The Infiorata di Noto is not the only festival of its kind in Sicily (two others take place in Spello and Genzano). 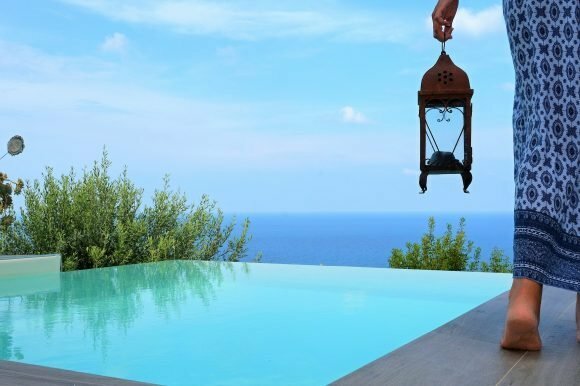 However it is arguably the most famous, and news of this festival travels far beyond the island itself to welcome visitors from many different countries over the weekend that it takes place. The meaning of infiorata refers to something decorated with flowers. In this case, Noto is the fortunate area to be painted with flowers of all kinds. Another phrase you may hear relating to this event is also most appropriate – “carpets of flowers”. 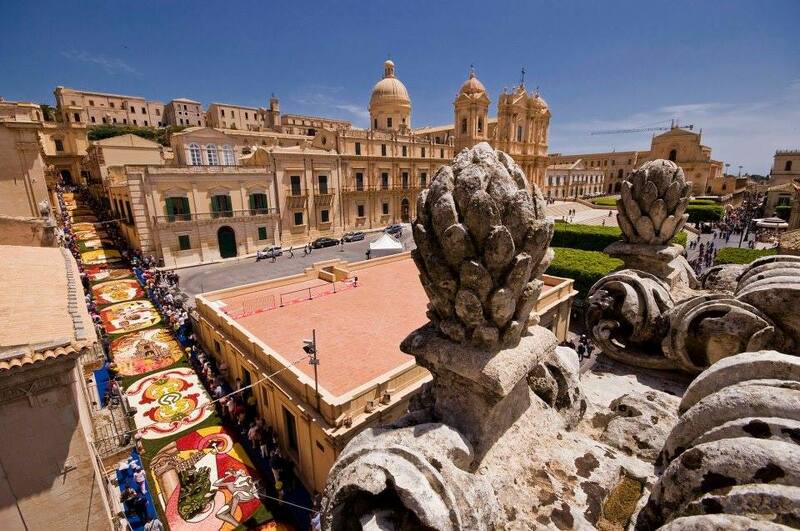 It’s easy to work out when the next Infiorata di Noto will take place – it always occurs on the third weekend in May. It is now over a quarter of a century old and still draws in a vast audience. In 2015 this meant it would begin on Friday 15th May and run through until Sunday 17th May, so you have a few days in which to see the phenomenon. And an aspect it indeed is, since you can look at the artists involved creating the spectacle on Friday, before seeing it in its complete form over the two days of the weekend itself. Each artist was given a section of pavement along Via Nicolaci, a charming street in Noto, and they must create their design based on a given theme. Each artist works to the same subject to ensure a cohesive whole once the flower carpet finished. 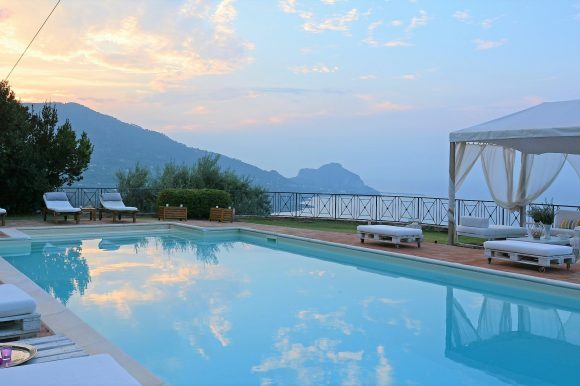 At the weekend you will be one of the thousands who walk past the displays, taking in the inspiration, design, artwork and beautiful colour that is resplendent in the Sicilian sunshine. This Sicilian Flower Festival is not just about walking past the displays, however. You can sense a real festival atmosphere here since many other attractions and sideshows are set up to provide more entertainment and appeal for visitors. 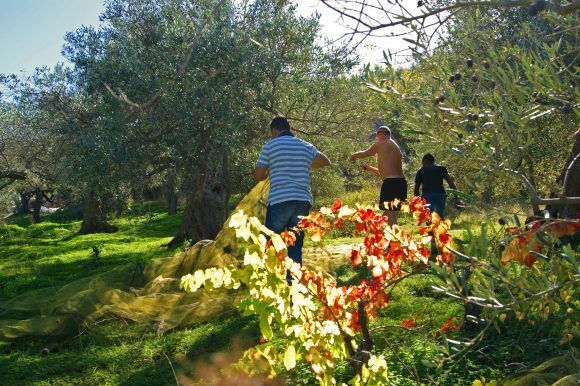 Finally, if you are still in Noto on the Monday morning after the festival, do watch as the local children run riot on the flower displays. It may look destructive and it is, but it happens every year and shows the fleeting nature of this festival. In the destruction of the artwork so the pavements return to normal until next May, when a fresh slew of designs will grace the streets of Noto once more.